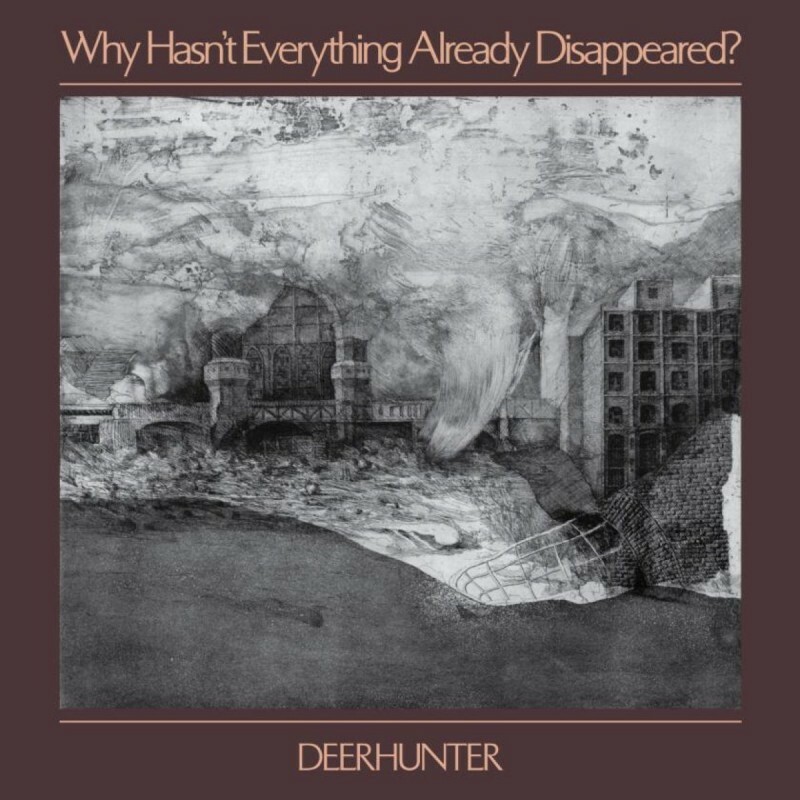 > Vinyl>Deerhunter - Why Hasn't Everything Already Disappeared? How do you describe an album out of time, concerned with the disappearance of culture, of humanity, of nature, of logic and emotion? Why make this album in an era when attention spans have been reduced to next to nothing, and the tactile grains of making music have been further reduced to algorithms and projected playlist placement. Why wake up in the morning? Why hasn't everything already disappeared? Deerhunter's eighth LP forgets the questions and makes up unrelated answers. It gets up, walks around, it records itself in several strategic geographic points across North America. It comes home, restructures itself and goes back to bed to avoid the bad news. From the opening harpsichord and piano figures of 'Death in Midsummer', it is impossible to tell where the record came from. Is 'No One's Sleeping' an outtake of an aborted Kinks recording session in 1977 Berlin with Eno producing? No. That is nostalgia. If there is one thing Deerhunter are making clear it is that they have exhausted themselves with that toxic concept. Deerhunter have made a science fiction album about the present. Is it needed right now? Is it relevant? Perhaps only to a small audience. DADA was a reaction to the horrors of war. Punk was a reaction to the slow and vacant 70's. Hip Hop was a liberated musical culture that challenged the notions presented wholesale about the African-American experience. What is popular music today a reaction to?